Cate Blanchett has always been very generous with her beauty secrets. And tomorrow, the luxury skin-care brand responsible for her gorgeous glowy skin is launching two pop-up shops to promote its latest technological achievement, the Beauty Imaging System. 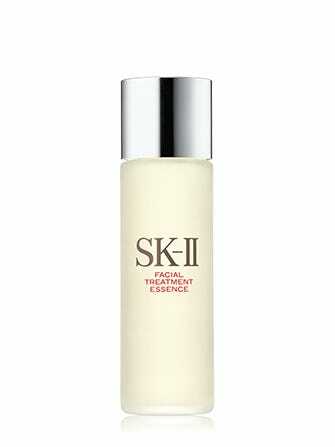 SK-II is setting up shop in the heart of Soho and will be offering complimentary consultations featuring this state-of-the-art product through May 23. SK-II's imaging system takes close-up photos of your face, analyzes the skin using the five tenants of a crystal-clear complexion (according to SK-II’s high standards), and recommends products based on this quick and painless screening. No matter what your skin issue — large pores, dull complexion, the usuals — the SK-II skin counselors will be ready and eager to remedy the situation. According to the experts, the secret key ingredient in the products is Pitera, the cornerstone of ageless success. But, really — how many other brands can claim their anti-aging agent was discovered in a Japanese sake brewery? With only two pop-ups in the U.S. — the other is in San Francisco — this is a unique opportunity to try out the products before you splurge. Youthful skin doesn’t come cheap. Blanchett's recommendation alone is enough to draw us to the store, and with the free product testing and samples, we know we won’t leave empty-handed. SK-II, 468 Broome Street (at Greene Street).